AP Sioux City LLC, headquartered in Dallas, TX, has announced plans for the construction of a 350,000+ square foot commercial development in the Sunnybrook area. On Monday, City Council will consider information submitted on the proposed 64-acre development, to be known as “Sunnybrook Village." The development will boast a mix of nationally-recognized retail and commercial tenants as well as "The Summit," a luxury 225-unit multi-family residential project. Triumph Foods and Seaboard Foods will form a new joint venture to construct a state-of-the-art pork processing facility in Sioux City, Iowa. The $264 million project will occupy much of the city-owned 250-acres in Bridgeport West Industrial Park, located north of the Sioux Gateway Airport along the Missouri River and create 1,110 new jobs. The plant will initially operate a single shift processing approximately 3 million hogs annually. Construction of the new facility is projected to begin this fall with completion anticipated by summer 2017. 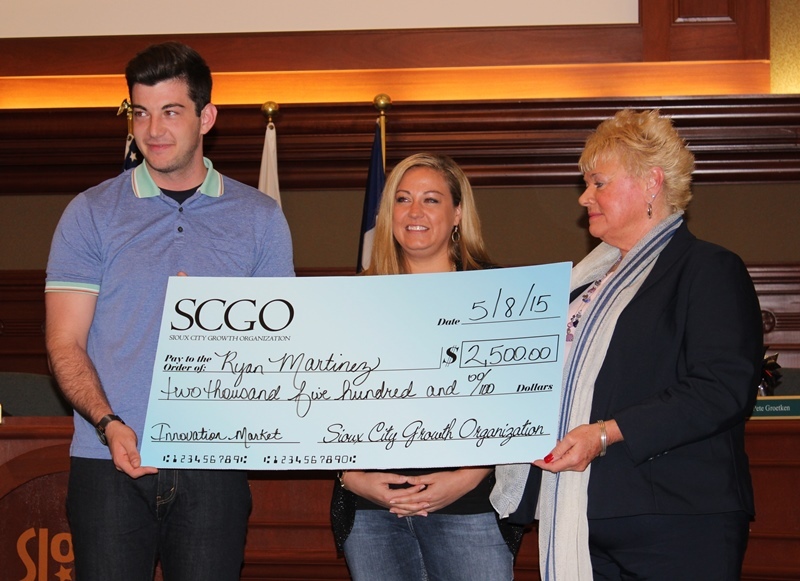 The City of Sioux City Economic Development Department has been recognized for efforts to retain a local company that is in the final stages of completing a major expansion. 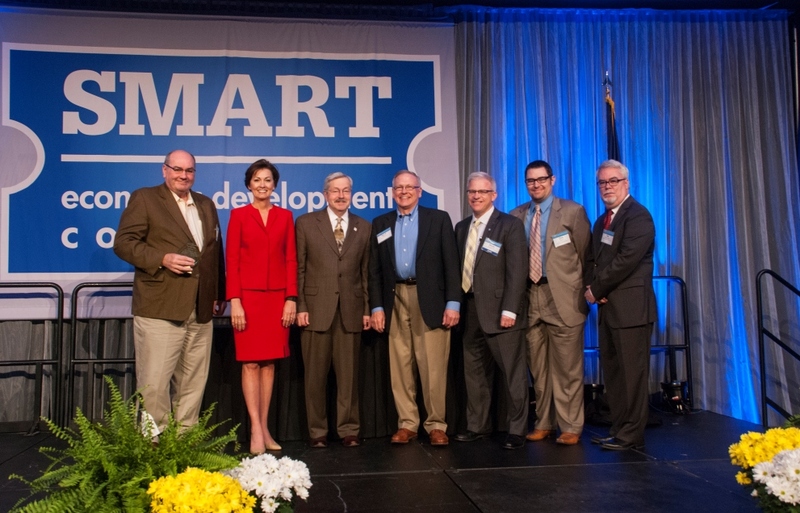 Professional Developers of Iowa (PDI) presented Sioux City with the PDI Business Retention and Expansion Award for efforts in 2014 with the Bomgaars Supply, Inc. expansion project. Governor Terry Branstad and Lt. The Sioux City Economic Development Department has created a new initiative to encourage and highlight Sioux City employers who show pride in the appearance of their business property. The new award name developed for this award is: Pride of Sioux City: Business Beautification Award. The Innovation Market is a social think-tank designed to grow local ideas while forming connections between like-minded leaders of every age. The event is about taking ideas, however big or small, and growing them into action. More than 50 people gathered on the evening of April 29th to attend the Iowa West Coast Dream Big Grow Here regional pitch off event to determine the recipient of a $5,000 business grant and to celebrate the spirit of entrepreneurship in the Siouxland region. Organizers are pleased to announce Jackson Street Brewing in Sioux City as the grant recipient to expand their startup brewery operation. (DES MOINES) – Gov. 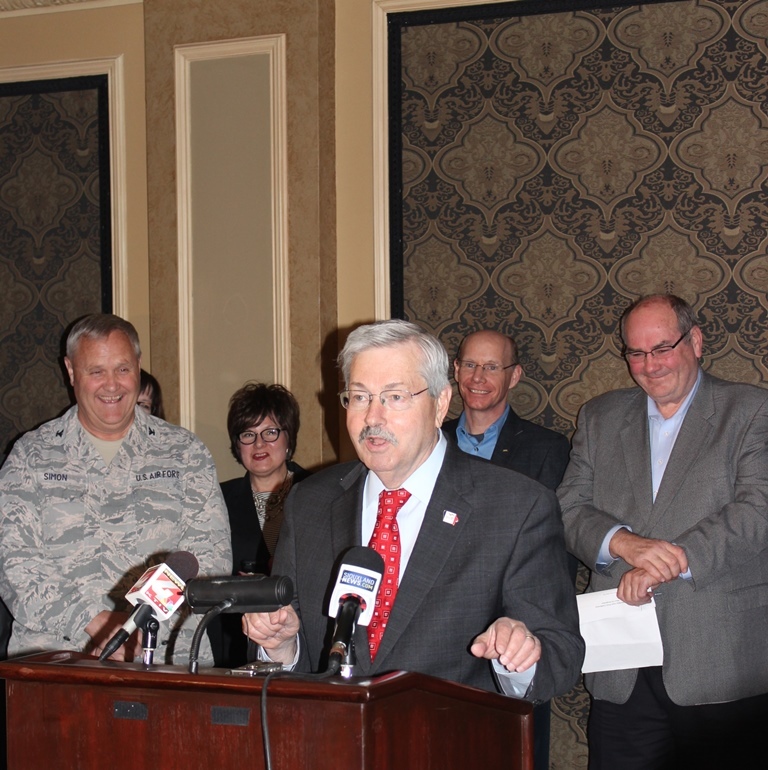 Terry E. Branstad today announced Sioux City has met the criteria to become designated as a Home Base Iowa Community. Today he also announced Western Iowa Tech Community College has been designated as a Home Base Iowa Certified Higher Academic Military Partners (CHAMP). A formal announcement and press conference will be held today in Sioux City at the Orpheum Theatre at 4:45 p.m.
City Council will consider a request by SUN Investors, LLC for prior approval of property tax exemption for a major new apartment development in the Sunnybrook area on Monday. The Summit at Sunnybrook Village, a 225 market rate apartment home development, will be the first phase of a major new mixed use commercial, office and residential development planned for the northeast corner of Sunnybrook Drive and Christy Road. The new class “A” master-planned development will include a number of amenities such as a resort-style swimming pool, clubhouse and fitness center. Smithfield Foods has requested the City of Sioux City’s support for an application to the Iowa Economic Development Authority (IEDA) for financial assistance. The company is considering an expansion of its Sioux City plant. Branded under the Curly’s Foods name, the company’s Sioux City production facility produces a wide variety of cooked meats for many national restaurants and grocery stores. Steadily increasing sales over the past several years has prompted a need for additional production capacity.